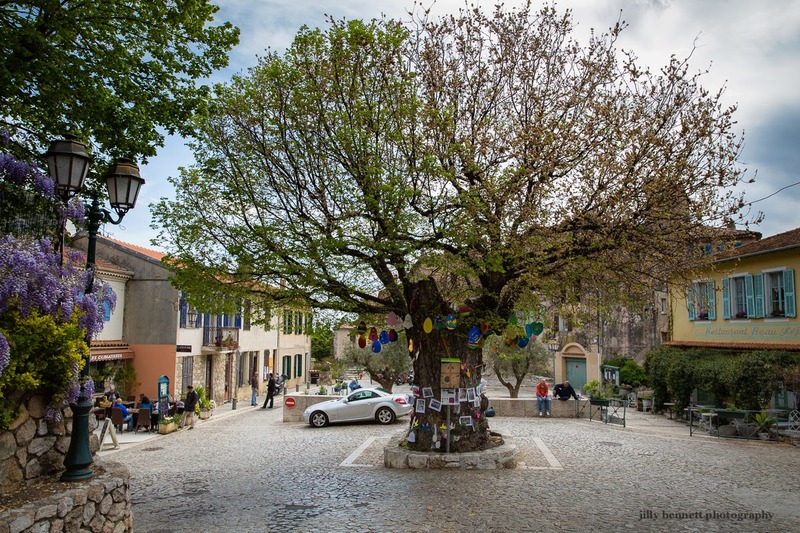 The three hundred year old elm tree in Gorbio's main square is all dressed up for Easter. She has been decorated by the children of the village who attend ateliers at JLED (Youth Leisure Studies and Discoveries). The photos, some of which you've already seen, feature the children at two of the recent workshops: 'Discovering sheep' and 'creating and painting Easter decorations. I was in the village yesterday and it was great to see so many people admiring the children's work and at the same time seeing photos of the workshops. 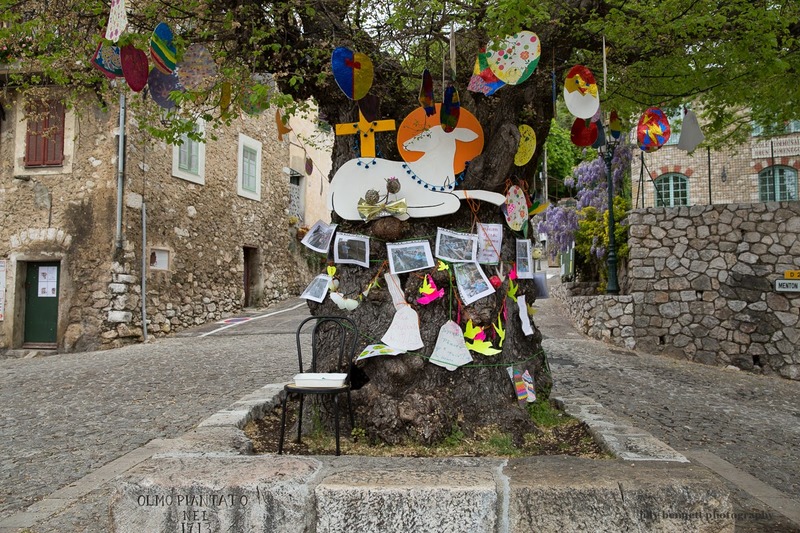 L'orme tricentenaire de la place principale de Gorbio est tout habillé pour Pâques. 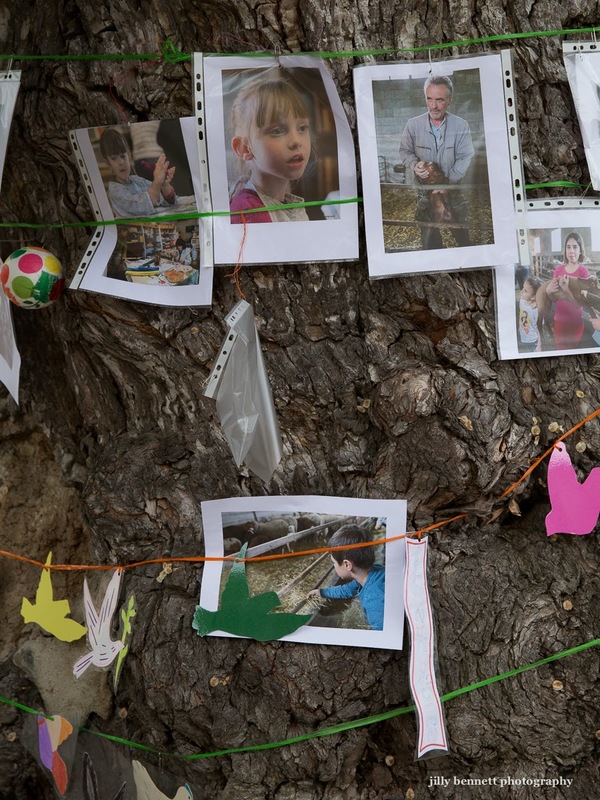 Il a été décoré par les enfants du village qui fréquentent les ateliers du JLED (Jeunesse, Loisirs, Etudes et Découvertes ) Les photographies, dont certaines que vous avez déjà vues, montrent les enfants dans deux des ateliers récents : « Découvrir les moutons » et « moulage et peinture et décorations de Pâques. J'étais dans le village hier et c'était super de voir autant de gens admirer le travail des enfants et en même temps découvrir les photos des ateliers. It's wonderful that they've kept it in place. If anything happens to it, its absense will be felt greatly. I think that people in this country who consider themselves informed have the impression that France and religion have parted company. There's obviously much more to it.